I'm trying to find out if there is away to actually display the tweet at xobor. 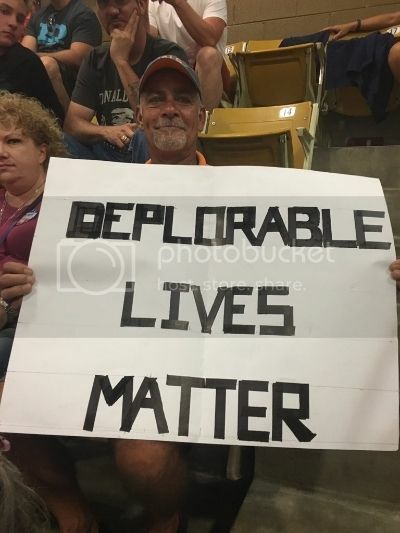 As a proud member of Team Deplorable I love this. Thanks for the gift that gives on giving, Hillary. Among other things Hillary seems to be suffering from advanced foot-in-mouth disease. I suspect these remarks were not meant to go public ... then again Hillary may be too dense to realize the insult. Oops...I meant "keeps" on giving. But y'all knew that...I hope...lol.